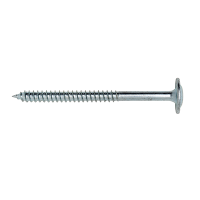 The FrameFix washer head masonry screw is ideal for timber fixing to concrete. Torx 40 drive flange head. Performance derived in accordance with AS 1720.1 – 2010 (Timber Structures). design (Maximum working load = 2.28kN).